— Becca AbuRakia-Einhorn, Team Captain, "Jews for Gaza"
Meet Team Jews for Gaza. Fun Fact: Beyond being stellar at raising awareness and funds for mental health services in the Gaza Strip, the team consists of some rockstar runners to boot! Last year one of their team members was 4th for men and two years ago one of our team members was 1st for women! They've participated in the Gaza 5K under the name "Jews for Gaza" for three years though there have been a few participants that predate the official team, having participated a few years longer. They know the cause, care deeply about Palestine refugee rights and access to mental health care, and come back year after year to show it. Team Captain Becca AbuRakia-Einhorn spoke to UNRWA USA on behalf of her team, sharing why they care and why they feel others should too. [UNRWA USA]: Why does your team join UNRWA USA for the Gaza 5K? What has brought you back to participate for a fourth year? [Becca]: Every year, our tradition teaches us to remember both the bitterness of slavery and the joy of liberation. We recall the narrow places we’ve left through stories of persecution and resilience, in our own lives and in our people’s history. As we were dehumanized by the oppression we faced, we are now dehumanized by that which we are inflicting. Our elders told many of us that because of our history, we should oppose oppression in all the places it lives, whether it preys upon us or others. But generations of my fellow American Jews have now watched Israel perpetuate 70 years of occupation: a system of violence and separation that deprives Palestinians of civil, political, and economic rights. No longer will our community be used by politicians or anyone else to justify the violation of Palestinian rights. Like those born wandering in the desert, we are rising from our people’s trauma in order to move us toward the ongoing promise of liberation. We will be the generation to transform our community’s support for the occupation into a call for freedom and dignity for all. And we will stand by our Palestinian cousins and support them in any way that we can. 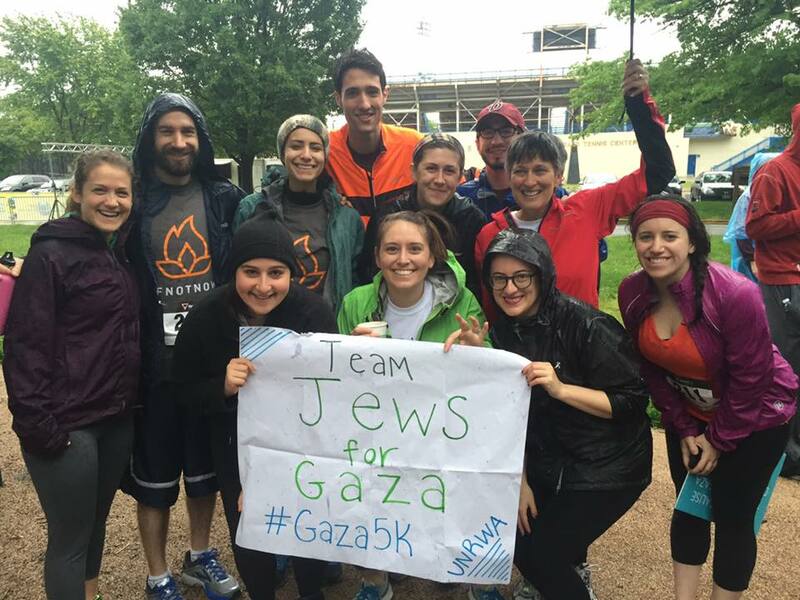 For the last few years, we have participated in the Gaza 5K and have found it a meaningful way to connect with Palestinians and show that we are working to change our own community. [UNRWA USA]: What does the tagline "moving for mental health" mean to you? Why is good mental health so important? [Becca]: As Jews, we have grown up with our own community trauma and know how that can be passed on through generations and have wide-reaching effects. The Palestinians in Gaza have been subject to violence and oppression and deserve an outlet to process this in ways that can help themselves heal and help their communities heal too.